Do you have questions about Micro Scalp Pigmentation? Are you sceptical about Micro Scalp Pigmentation and want to know more? Then come along to our Sydney open day and find out everything there is to know about Micro Scalp Pigmentation performed by The Shadow Clinic. You will meet previous clients that have received the treatment, see it in real life. Relax and chat to them about any questions or things you may not be sure about regarding scalp pigmentation. Meet Ricky Hancock founder of The Shadow clinic. It is going to be a great day, free just for you to soak in the atmosphere, get the facts behind the treatment and enjoy an array of delicious nibbles served throughout the day. Hey Buddy!, I found this information for you: "Open Day Sydney Micro Scalp Pigmentation". 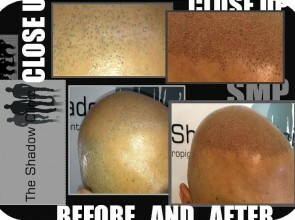 Here is the website link: http://www.theshadowclinic.co.nz/open-day-sydney-micro-scalp-pigmentation/. Thank you.